The second round seat allotment of NEET 2017 for All India Quota seats was declared by the Medical Counselling Committee (MCC) on August 8. Candidates who have successfully secured a MBBS or BDS seat through the list can report to their allotted colleges from August 9 till August 16. Following the second round of counselling for NEET 2017 All India Quota, which was conducted by the Directorate General of Health Services (DGHS) on behalf of the MCC between August 1 and August 4, the second seat allotment list has been released. The second seat allotment list for Deemed and Central Universities, counselling for which was held between the same dates, is expected to be released on August 11. 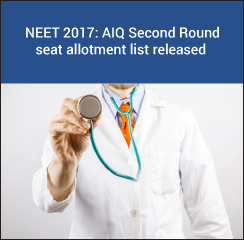 The seat allotment result for round two AIQ seats can be checked by NEET candidates either individually by entering their roll numbers, or by cross-checking their All India Rank status from an open, detailed list. A total of 4018 successful NEET candidates who had applied for the 15% All India Quota MBBS and BDS seats available in Government medical colleges across the country had been allotted seats through the first seat allotment list published by the MCC on July 14. Out of these, 2260 candidates failed to report at their allotted colleges, while 380 resigned and 4 had their admissions cancelled, thereby making available all of these seats for the second round of seat allotment. Out of the 2660 seats which were left vacant following the first round of counselling held between July 16 and July 22, 2646 seats have been allotted to candidates through the second seat allotment. The final admission status of 6664 candidates who were eligible for admissions under All India Quota after declaration of NEET Result 2017 has also been determined with the conclusion of this two-round NEET counselling model. Candidates who will now join the seats allotted to them in the 2nd round of counselling in 15% All India Quota will not be allowed to vacate these seats. As per the MCC, all candidates who had registered for the first round of NEET 2017 counselling but failed to secure a seat or had their first round seat cancelled due to change in category at the time of reporting for admissions or had submitted their willingness to upgrade their first round seats, were eligible for the second round of NEET 2017 counselling. All these candidates can check their NEET seat allotment second round results from this page. Select Round 2 from the displayed ‘Round No.’ drop down menu. Enter NEET Roll Number in the ‘Enter Roll No’ field. Click on Submit and check the Provisional Allotment Letter that is displayed. Alternatively, check the entire list of seat allotment and find your allotted institute by cross-checking for your Roll Number or All India Quota Rank. 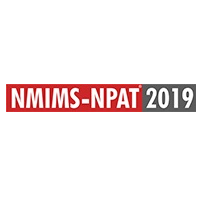 The second round NEET All India Quota seat allotment list will show the admissions status of candidates along with categories such as All India Quota Rank, Allotted Institute in Round 1, Course, Allotted Institute in Round 2 if applicable, Allotted Category and Candidate Category. The list will show the status of each candidate who had participated in the both rounds of the AIQ seat allotment process, such as whether a candidate had opted for upgradation, whether a candidate did not report and had the seat cancelled, whether a candidate was allotted a seat solely through the second round, whether a candidate opted for upgradation or not, whether a candidate was allotted an upgraded seat through the second round fresh choices, whether a previous round admission was cancelled and which candidates resigned from their allotted seats. After the conclusion of second round document verification on August 16, the MCC will transfer the remaining seats to State Quota. Candidates who failed to secure a seat through both rounds of the All India Quota seat allotment will then be able to apply for the seats in the remaining Government medical and dental colleges through the final NEET Counselling rounds of their respective states. Go to medicine.careers360.com for the latest news and updates on NEET!